Select the email account from the list and click Change. On the Change E-mail Settings window, click More Settings. 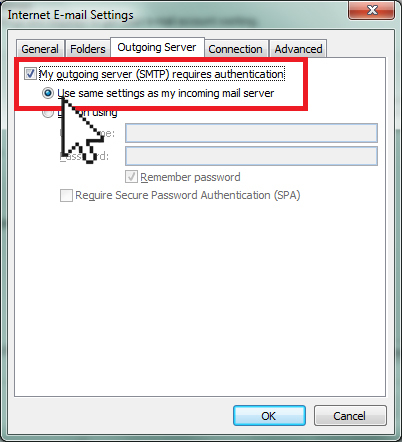 Click the Outgoing Server tab and check the My outgoing server (SMTP) requires authentication option. 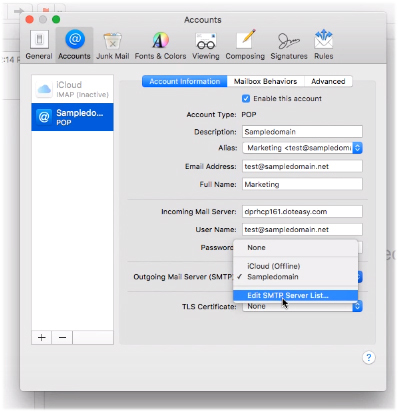 Click the Advanced tab and change the Outgoing server (SMTP) port. 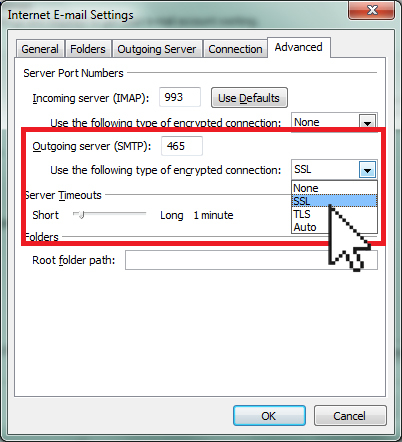 If you want to use SSL, then change the port to 465 and select SSL from the encryption drop-down menu. If you don’t want to use SSL, then change the port to 587. Click the Accounts icon at the top of the window. Make sure the Allow insecure authentication option is unchecked. Enter your full email address as the username and your password. Select Outgoing Server from the left menu. Highlight the email account you want to edit and click Edit. 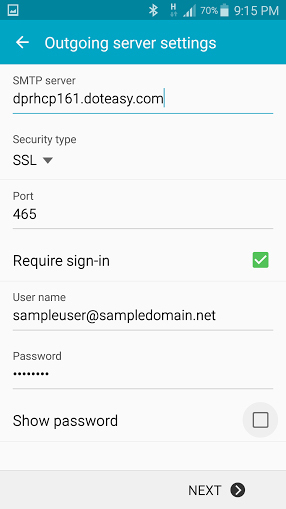 From the Connection security drop-down menu, select the desired option: SSL or none. 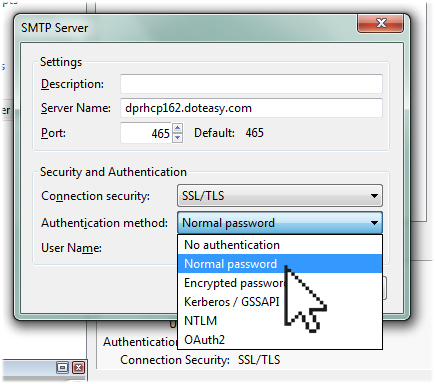 From the Authentication method drop-down menu, select Normal Password. Scroll down until you see Mail, Contacts, Calendar. Click. Click on the email account you want to edit and click Edit. Click on the email account again to open the Accounts screen. 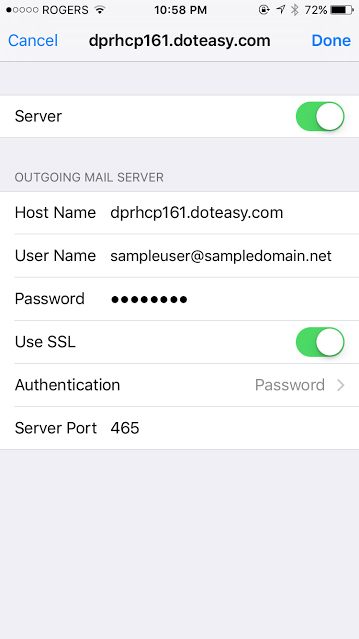 Click on the outgoing mail server under Primary Server. Click on Authentication and select Password. Click on Server Port to change the port number. Click on the email account you want to edit. 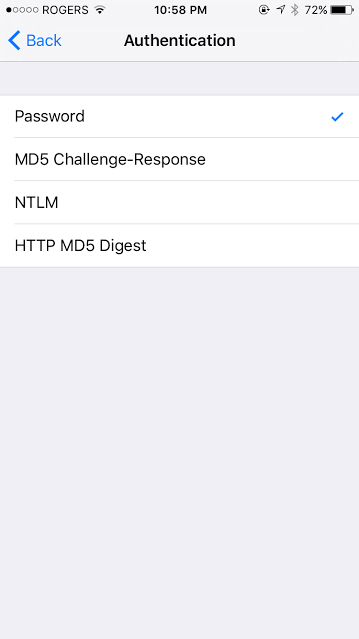 Scroll to the bottom of the screen and click More Settings. Check the Require sign-in option. 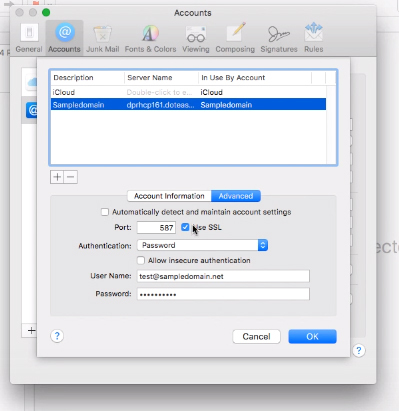 Enter your full email address as the User name, and your password. Change the server Security type and port.